I am super excited about today’s post. Not only did my friend and fellow author Virginia Finnie agree to review my newest book, Teaching Christ’s Children About Feeling Angry, but she also tested the teacher’s guide I developed for it. 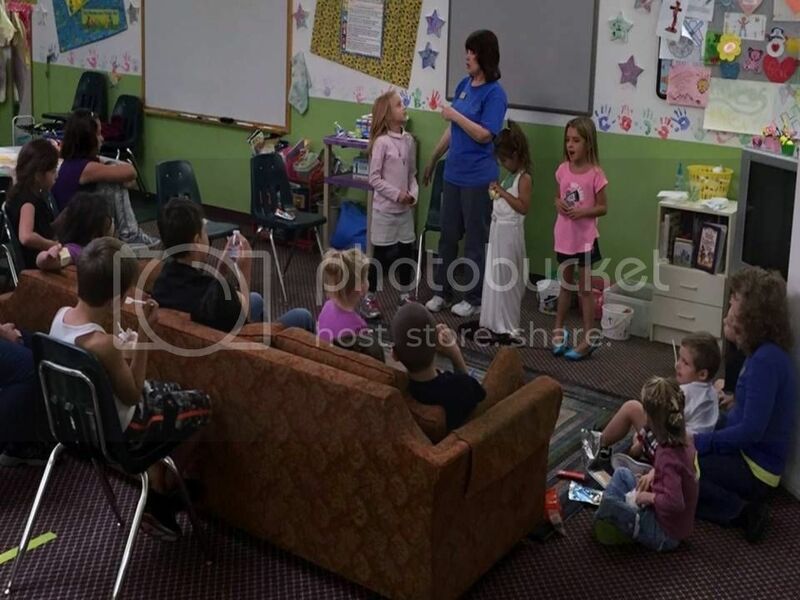 So continue reading below to find out what Ms. Finnie has to say about using Teaching Christ’s Children about Feelings Angry to help children learn what the Bible says about feeling angry. Teaching Christ’s Children About Feeling Angry is a beautifully illustrated book for children and an excellent resource for teachers, counselors and parents to teach and counsel elementary age children about angry feelings. It explains in a way that children can easily understand that God gave us all of our feelings, including anger; therefore anger is not bad and has a purpose. Children learn how to recognize angry feelings and to understand the source of their anger. They learn strategies to control and express their angry feelings appropriately, as well as how to respond when someone is angry with them. I appreciate the inclusion of how to relate to angry people and when it is okay to get away. Sometimes angry feelings let them know they are in danger and what they should to about it. The main character, Tay is easy for children to relate to as she tells how she has felt anger and the consequences of expressing her anger in ways that are unacceptable. She then learns what the Bible has to say about anger, and she is given tools for controlling her anger. Scripture references are included throughout this biblically based book. 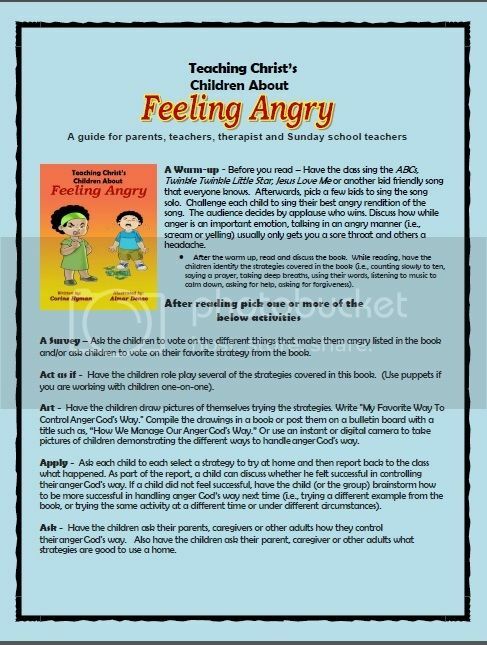 I recently taught from Teaching Christ’s Children About Feeling Angry using the teaching guide available as a free resource on this website to teach a group of elementary age children. The guide was well-thought-out and easy to use making the lesson prep a snap. Following the warm-up of having the children sing a song they all know, we sang Twinkle Twinkle Little Star, three children volunteered to come up and sing the song as if they were really angry. They were competing to see who could show the most anger, prizes were awarded. It was a great lead-in to the reading and teaching as the children used their voices and body language to express their pretend anger. As the children heard Tay’s story, they naturally wanted and needed to share their stories of times when they felt angry and what happened. It was important for each child to have the opportunity to share as it made the teaching portion more relevant to them. For this reason, I recommend teaching to small groups of children, ideally, less than ten. 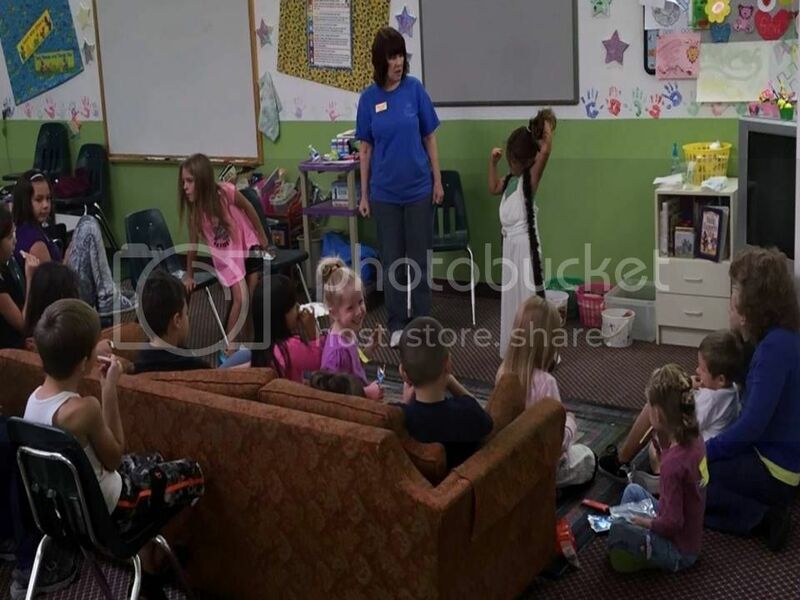 In conclusion, they all voted on what strategies they liked best and were given the assignment of trying at least one strategy during the coming month. I am looking forward to hearing their stories next month. This is an important teaching for all children and I recommend it without reservation. To download the teacher’s guide click here or visit the member’s only section for all the resources to go along with this book including coloring sheets and handwritting sheets. Well that is all for now, please continue to pray for me and Mrs. Finnie and we will be praying for you. Fine review. Teaching children how to handle feelings of anger is very important today, since we have so many horrible examples of how people handle their anger feelings poorly. This sounds like a wonderful and much needed book. 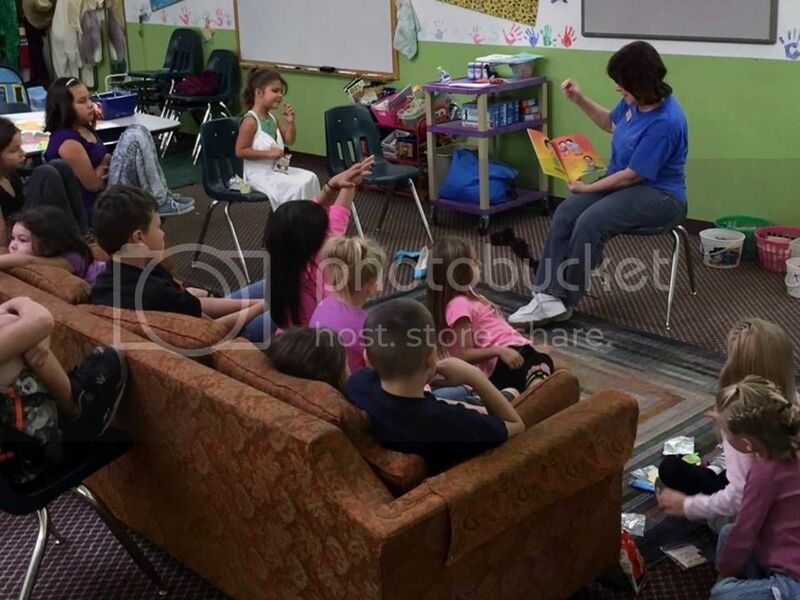 I recently watched a children's program (secular) that (umpteen) times told the children to stomp their feet three times whenever they don't get their way (seriously! ).